Magothy Methodist Church was the only year-round Protestant Church in this area in the early 1900’s. Reverend Charles S. Harrison served as pastor there from 1920 through 1927. In 1927 he was transferred to Thurmont, MD and from there he went to Pennsylvania for a short time. Because of his youngest daughter’s health he returned to the Baltimore area. He found employment as pastor of Community Methodist Church in Riviera Beach, a part-time assignment. At that time, Riviera Beach was a summer community and the church was open only from Memorial Day to Labor Day. In order to supplement his income, Rev. Harrison sold butter, eggs, coffee, tea, etc. throughout northern Anne Arundel County. He invited his customers to church and the response was good. These folks needed a church that was open year-round. The Methodist Conference, however, would not agree to open the Community Church for more that the summer season. A local resident of the area, Mr. James Jenkins, offered to donate the ground for the construction of a year-round church if Rev. Harrison desired to organize one. Rev. 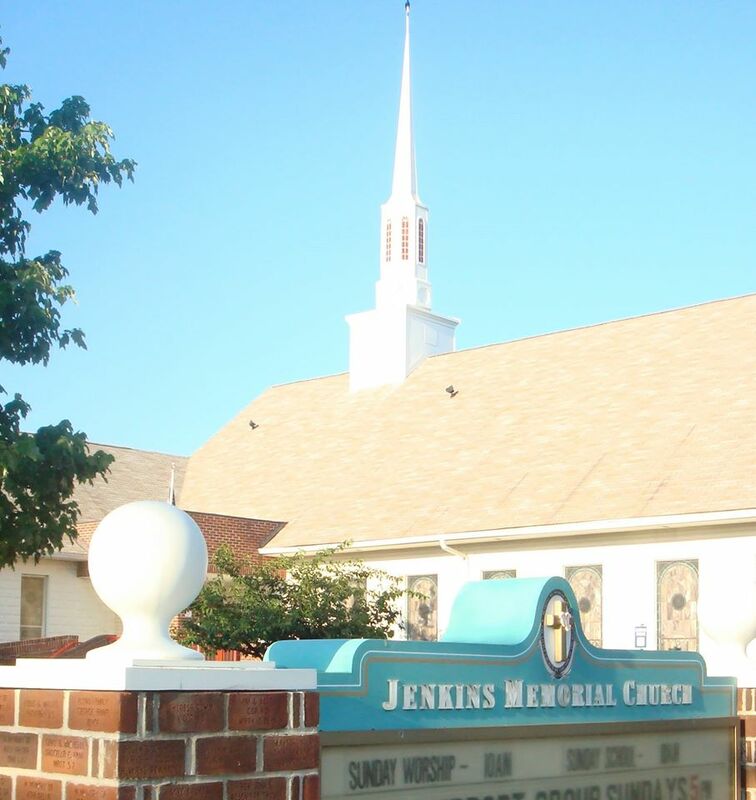 Harrison withdrew from the Methodist Conference and on the porch of the Benway Home in Riviera Beach, Jenkins Memorial Church was started as an independent church dedicated to preach the Gospel of Jesus Christ and to open its doors to all people to worship God according to the dictates of their minds. As the numbers attending service grew, more rooms of the Benway home on Carroll Road in Riviera Beach were used. In 1931 the original church building was dedicated to the service of God. Later, two Sunday School rooms were added to the rear of the original building. Our church bears the name of the family who so graciously donated the ground on which the church was built. In January 1941, the church was incorporated and a Charter was adopted by the congregation and registered in the State of Maryland. A new front was added to our building, along with a handicap ramp in 1987 and in October of 1999 a new sanctuary, fellowship hall and office addition were dedicated. Up to the present time, our church has been served by just 6 pastors. Rev. Charles S. Harrison, the founder, was pastor until his death in December 1954. He was a man of great vision, completely dedicated and hard-working, who sacrificed much for our church and his God. Rev. Clarence Broyles became pastor in 1955 and served our church faithfully until his retirement at the end of 1972 when Rev. George H. Flynn was appointed. Rev. Flynn continued this faithful ministry until 1986 when he retired and Robert Douglas was appointed as pastor. Rev. John Taylor served as Assistant Pastor from 1994 through January, 2003. In September 2003, Rev. Milt Zahn joined our staff as Assistant Pastor under Rev. Douglas. Rev. Douglas retired at the end of 2009 and Rev. Zahn became Senior Pastor. In 2011, Rev. Jesse Robinson was appointed as Assistant Pastor. Through the years our church has been known as “The Little Church By the Side of the Road”.... and the "little" church continues to grow.